The sheer number and variety of markings found on air raid warden, Civil Defence and home front Mk. II helmets (some Mk. 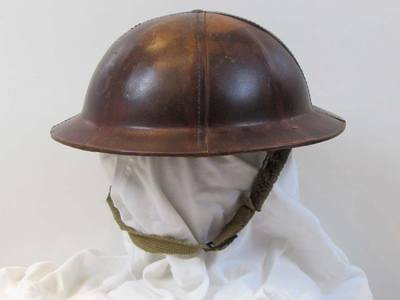 I* helmets of first world war vintage were issued but in very small numbers) during the second world war could easily be a website unto itself. 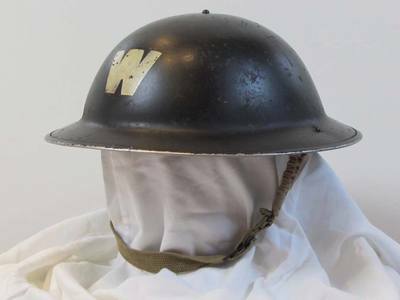 Below are the more commonly found insignia and markings on home front helmets. 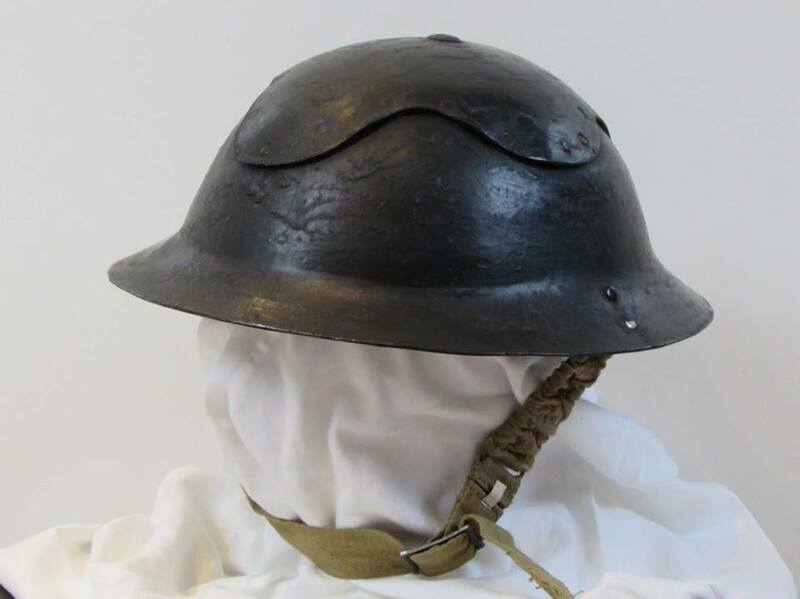 ​I am always interested in adding photos of home front helmets to this page - simply send me a mail. Please follow the style of taking a photo against a white background if possible. 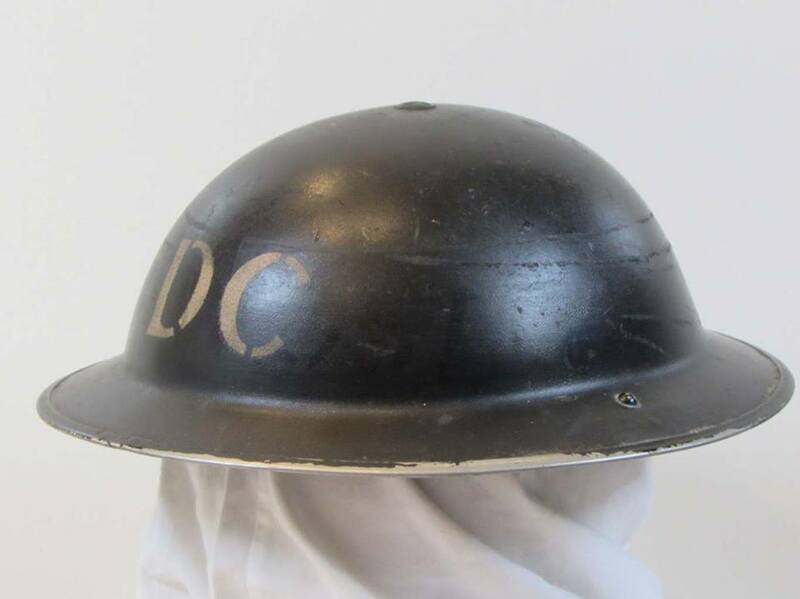 Initially, for areas outside of London, helmet ranks were denoted by black diamonds (on the front of helmet only). These were later replaced by the London system of black bars. There is evidence of some rare black helmets with white diamonds. Early WW2 ARP Warden helmet markings with diamond ranks. 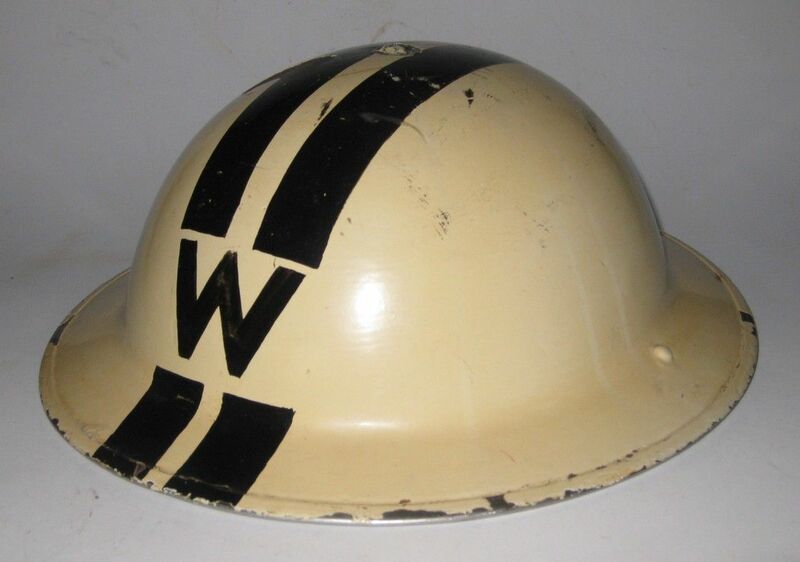 The most widely recognised Air Raid Warden's helmet insignia is the two-inch high 'W'. 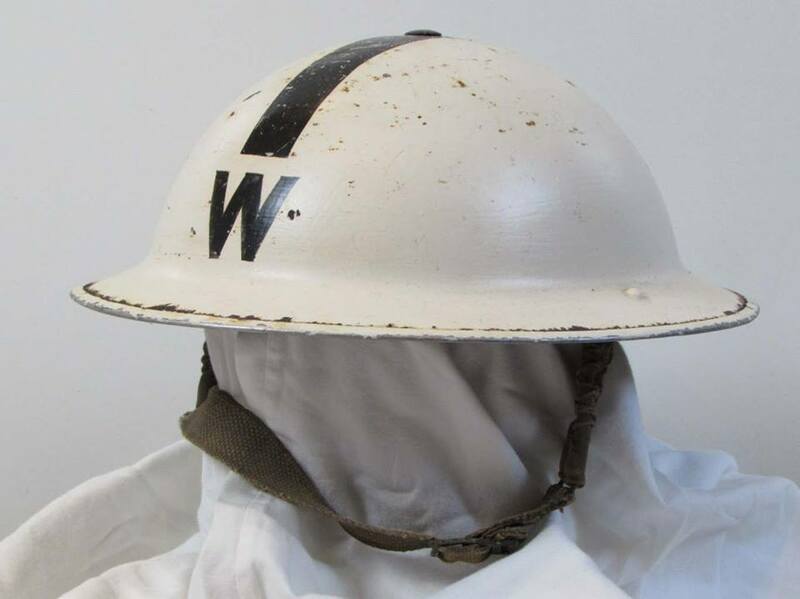 Depending on the air raid warden's rank he would have either a black helmet with white 'W' or a white helmet with black 'W' (plus one or two additional bars to denote seniority within the warden service). However, there are a myriad of helmets from different localities of differing colour (for example, dark green) with a variance of fonts and sizes used for the lettering. Some Post Wardens also had 'PW' inscribed on their helmet. 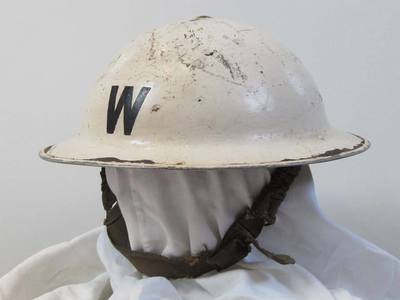 Certain Warden/Fire Guards are known to have used 'W/FG'. Given the nature of the Civil Defence Services and how authorities implemented regulations there exists a remarkable wide range of helmet markings. 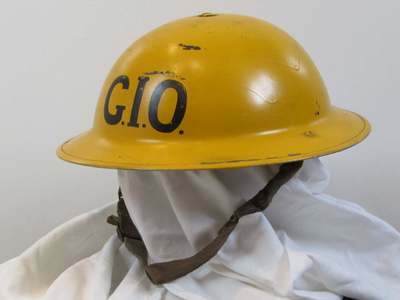 * Gas Identification Service (G.I.S.) used pre-war and also in 1939, 1940 and 1941. Generally all the following helmets were black with lettering in white. The white RP with black band was a Repair Party Leader. Following the evacuation from Dunkirk in the summer of 1940, raw materials were severely stretched and to provide enough helmets for civil defence personnel Grade 2 helmets were manufactured. These Mk. 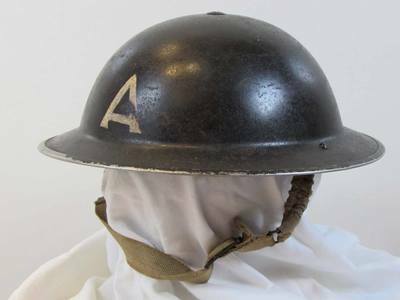 II Grade 2 mild steel austerity helmets had holes drilled in the rim (near the chinstrap rivet) to indicate the quality of the steel used in the manufacture.​ The more holes the lesser the resistance to ballistic impact. 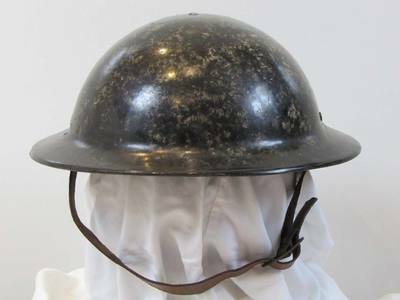 As the war progressed and more metal supplies became available the need for these sub-standard helmets decreased and standard Grade I Mk. 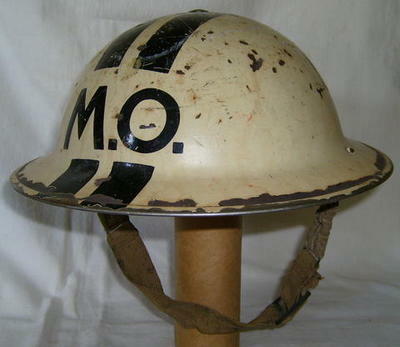 I helmets were made and issued. 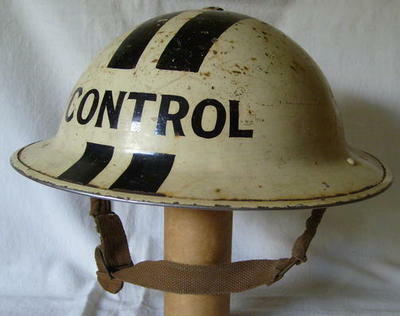 There is no consistency on who was issued these helmets. It was not the case that, for example, all Mk. 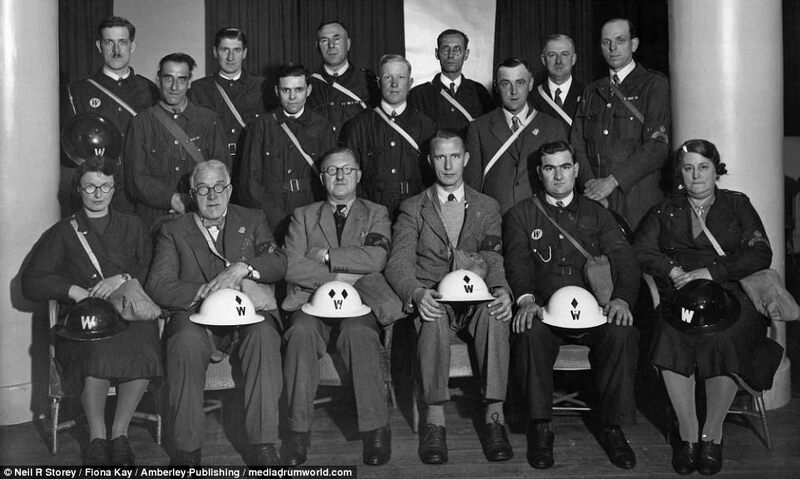 II 2As went to the Home Guard, air raid wardens received Mk. II 2Bs, or that Mk. II 2Cs went to say, the Observer Corps. Some claims have been made that Mk. II 2Ds were for Fire Watchers but I have not found any documentary evidence to back this claim. The usual case in the civil defence services was you got what available from stores. A number of helmets were produced for purchase by the public. Buy a digital copy of ARP Memorandum No. 17 for just £2.50. This 1944 document is full of Civil Defence uniform and badge details.